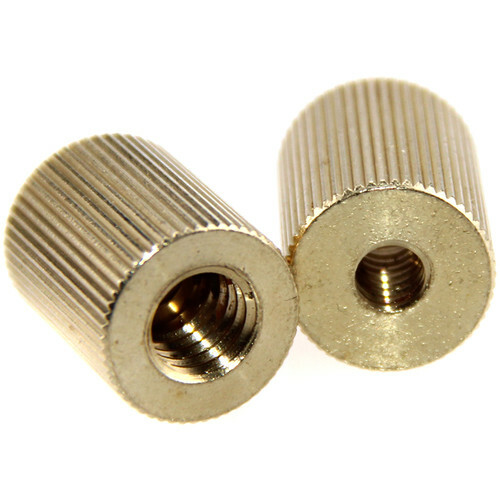 Use this brass 1/4"-20 Female To 3/8"-16 Female Thread Adapter from CAMVATE to connect accessories, microphones, cages, and other gear that has 1/4"-20 and 3/8"-16 male screws. The knurling on the side helps with grip when tightening. Two screw adapters are included in this pack. Box Dimensions (LxWxH) 2.35 x 1.85 x 0.75"